The crowd that trekked it out to Bar "Le Ritz" P.D.B. last night (February 18) were rewarded with a double dose of groove and funk to fight the dreaded mid-February blues. New York collective Cookies performed a pleasant set that included tracks from their debut album, Music For Touching. While they self-identify as "a band specializing in popular music," in reality they play easygoing pop music with funky bass lines. Composed of co-vocalists Ben Sterling and Melissa Metrick, the band employ a revolving door of collaborators for their recordings, including saxophonist Colin Stetson, but have a relatively more pared down live setup, backed by a guitarist and fervent drummer who often stole the show. But songs like their debut's title track and the short and punchy "July Seventeen" showcase the band's knack for crafting catchy compositions that force you to groove along — not a bad way to start the night. There are three things you notice when watching Ahmed Gallab, aka Sinkane, perform: first, he was obviously born to do this and clearly loves it; second, he has a huge arsenal of fantastic material; and third, the differences between the recordings and their live rendition are near monumental. Not that you can't recognize the source material, but Sinkane and his band of merry men infuse so much energy and verve into their performance that the songs take on a life of their own. Take opening track "Jeeper Creeper," from his 2012 breakout LP Mars, for example: on record it's almost soft and soothing, slowly building and ebbing away, but when performed live, the four-piece turn it into a veritable psych-rock bonanza. They followed up with an even funkier rendition of "Makin' Time," and made full use of the vocoder, by which point the crowd was already utterly enamoured with the Sudanese-American artist. Mid-way through the set, the four-piece turned on their rock star switch, playing with the crowd who were already under their spell. When they played "Young Trouble" from the recently released fifth studio album Mean Love, they had almost everybody in attendance swaying along to the groovy drums and Gallab's synths. "Galley Boys," another Mean Love standout, also took on another life in its live iteration: the album version acts like a country ballad, but live it was so upbeat that you almost forgot its underlying melancholy. By the time they performed breakout hit "New Name," people weren't just swaying, but were full-on dancing and singing along. Closing off the set with "How We Be," the band went into full jam mode, playing hard enough for Gallab's toque to fall off his head. But obviously this couldn't be the end; the crowd would have none of it. They came back onstage legitimately grateful — "We really appreciate it" — and launched into a "Beauty School Dropout"-like doo-wop rendition of Mean Love's title track, a fitting end to a superb evening. And while some may know Sinkane for backing artists such as Caribou and Yeasayer, he was sure to make one thing clear last night: a session player he is not. 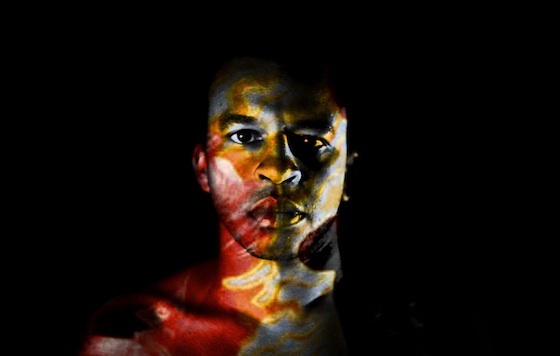 Sinkane Announces Sophomore Album for DFA, Shares "Hold Tight"